Do you or someone you love have a food allergy? Valentine’s sweets are everywhere right now, but before indulging make sure you check out the ingredients to avoid a potential gluten or dairy disaster. Even if you read the ingredients, gluten could be hiding in those heart shaped boxes. Here is what you need to know about gluten-free candy this year. » Read more.. I am in an abusive relationship. Not with a man or a friend, but with bread. Yep, my old pal Gluten and I are not getting along these days, I recently found out that an intolerance or allergy may be to blame. Food allergy testing (via blood) will give me the results soon, but the likelihood is that I won’t be able to hang out with my “friends” pasta, pizza, or pretty much any refined carbohydrate, the way I used to. The news was heartbreaking, considering that the bread basket brings me as much joy as a shopping does for most women, but the worst part is I also was confused. What does this mean for my diet? Some professionals said “you may have a gluten allergy or intolerance,” Some said “you probably have celiac disease.” I thought to myself, “isn’t all the same?” Apparently not. I turned to Google to help me figure it out; overwhelmingly it popped out millions of results but the clear question remained, what are the difference in these intolerances and what on earth can I eat? Celiac disease is an autoimmune condition, where the body’s immune system starts attacking normal tissue, such as intestinal tissue, in response to eating gluten. Because of this, people with celiac disease are at risk for malabsorption of food, which cause nutritional deficiencies and may result in conditions such as iron deficiency anemia, osteopenia, and osteoporosis. The American Celiac Association also goes on give the following distinctions between Celaic, intolerance, and allergy. “CELIAC DISEASE can be defined as a permanent intolerance to the gliadin fraction of wheat protein and related alcohol-soluble proteins (called prolamines) found in rye and barley. CELIAC DISEASE occurs in genetically susceptible individuals who eat these proteins, leading to an autoimmune disease, where the body’s immune system starts attacking normal tissue. This condition continues as long as these food products are in the diet. The resulting inflammation and atrophy of the intestinal villi (small, finger-like projections in the small intestine) results in the malabsorption of critical vitamins, minerals, and calories. Signs and symptoms of the disease classically include diarrhea, short stature, iron-deficiency anemia and lactose intolerance. However, many patients will also present with “non-classical” symptoms, such as abdominal pain, “irritable bowel”, and osteoporosis. Patients may also be screened for celiac disease because of the presence of another autoimmune disease, such as type I diabetes or thyroid disease, or a family history of celiac disease, without having any obvious symptoms. Serum antibodies can be utilized to screen for celiac disease. However, the key to confirming the diagnosis remains a small intestinal biopsy, and the patient’s subsequent clinical response to a gluten-free diet. Clinicians in the United States must maintain a high index of suspicion for this disease, as it is significantly under-diagnosed in this country. Interstingly enough, Rates of certain cancers of the gastrointestinal tract are much higher in people with celiac sprue, and there is evidence that this risk is decreased with a gluten-free diet. People with active celiac disease are at increased risk for other auto-immune conditions, (such as diabetes mellitus type 1, Graves’ disease and Hashimoto’s thyroiditis) especially those with continued gluten exposure. People can also have other medical problems, besides celiac disease, when they eat wheat and related proteins. 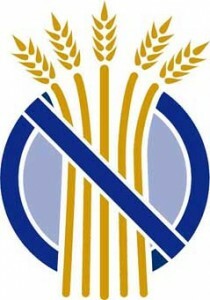 Wheat allergy is one of the top 8 food allergies in the United States. Allergic reactions after eating wheat may include reactions in the skin, mouth, lungs, and even the GI tract. Symptoms of wheat allergy can include rash, wheezing, lip swelling, abdominal pain and diarrhea. The branch of the immune system activated in allergic reactions is different from the branch thought to be responsible for the autoimmune reactions of celiac disease. Gluten Intolerance: People can also experience ‘intolerance’ to gluten. Food intolerances are not thought to be immune mediated. GI symptoms with wheat or gluten intolerance may include gassiness, abdominal pain, abdominal distension, and diarrhea. These symptoms are usually transient, and are thought NOT cause permanent damage. Unlike a food allergy or food intolerance, celiac disease is an inherited condition. This means family members may have it, too. For this reason, if someone in your family is diagnosed, it is recommended that first degree relatives (parents, children, siblings) are screened as well. Finally, celiac disease involves the activation of a particular type of white blood cell, the T lymphocyte, as well as other parts of the immune system, which may increase the risk of developing GI cancers, in particular lymphomas, in persons with celiac disease. Since food allergies and intolerances do not involve this particular immune system pathway, these patients are not at increased risk for these cancers. While celiac disease, wheat allergy, and gluten-intolerance may be treated with similar diets, they are not the same conditions. Due to the genetic component, and risk of nutritional deficiencies, other autoimmune diseases, and GI cancers, it is very important for a person to be properly diagnosed. So here I wait for my results, with the holidays coming up and a sweet tooth that is longing for a slice of pumpkin pie. By then I should know if I should avoid it at all costs (for my health) or give in and have some temporary discomfort. Fingers crossed the pie and I can remain friends. However, if the results come back in the red I am optimistic that there are other options out there or ways to indulge occasionally. I spoke with Champane Frias at Neurogistics who said there are many enzymes and supplements you can take to help improve digestion with Gluten sensitive’s “You can use digestive enzymes such as Bioset Chewable Digestion enhanced with gluten digestive for those times that you just can’t avoid it, like Aunt Suzie’s famous apple pie, that you only get to have once a year on Thanksgiving.”She said. This will help with the enzymes that I am not producing. There are some great alternatives to gluten and many companies who are capitalizing on this. 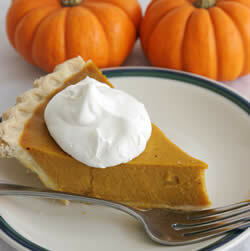 Whole Foods and local natural health food stores have gluten-Free pie crust, pies, and deserts. Recently I have switched to Udi’s gluten free bread instead of my old favorite whole-wheat. Rice pasta has become a staple; although it tastes a little different it is worth it by the end of the meal. The discomfort and pain of a big bowl of ravioli or pasta primavera can only be tolerated for so long. I having been finding great blogs and webistes that have recepies that make life with out gluten feel luxurious rather than deprivation. Gluten Free Hot Products is a great blog with coupon and great recipe ideas. With this new insight I will be creating a new healthy relationship with food; restaurants that have gluten free options, as well as digestive enzymes, to support me in times of “need”. Armed with the supplements in hand, this Thanksgiving I will be visiting my old, delicious, friends Stuffing and Pumpkin Pie. I am aware that it could be a painful and possibly abusive exchange; however, I’m hopeful that the supplements doing their job, and the new education I will embark on once I find out what is really going on with my relationship with Gluten. Although Dr. Green makes a point in regards to Gluten free diets may lack in fiber and B vitamins, that is only true if you are not eating a well-balanced diet. It is more unhealthy to be getting all of your fiber and B vitamins from white flour, which Dr. Green says is where the Gluten-Free diet lacks in health benefits. It is recommended before placing yourself or your child on a specific diet to get nutritional counseling, or even allergy and gut testing to identify these sensitivities and get proper dietary recommendations. However, we have seen many more than only Celiac clients benefit from eliminating gluten from their diets. For some Gluten has an opiate like effect on the brain, and in children or adults who eat it we see an almost “drug-like” reaction. Intense cravings, mood swings, and uncontrollable behaviors can steam from gluten. In Dr. Green’s defense, you can tell this was an incredibly short segment, and if time alloted I am certain he would explain in depth the benefits of gluten-free diets. To watch the segment click here and let us know your thoughts. Halloween night is fast approaching, are you prepared? 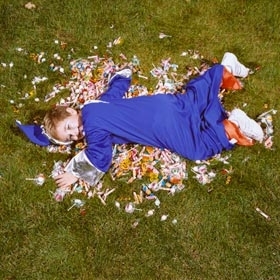 Your child has had their costume since July, candy has been bought for the trick-or-treaters, and you have jack-o-lanterns on your doorstep, but are you ready for the havoc that often comes with the POUNDS of candy and excitement that your child brings home after trick or treating? 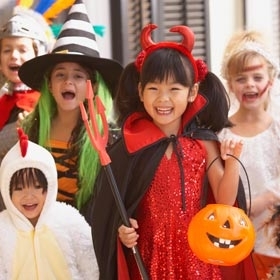 Here are some helpful ideas to avoid meltdowns and insure a happy Halloween for you and your little pumpkin. 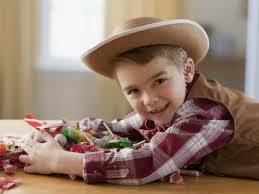 Candy Exchange: Dentists in our area advertise buying back Halloween candy from kids, what a great idea! They donate it to local shelters in exchange for buying your child’s candy by the pound. If no one in your area is doing this, you can buy it back from them, and have them earn money or turn it in for a prize. 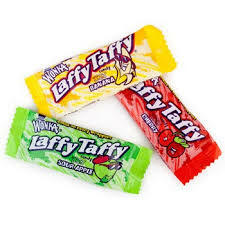 Trading Candy: If your child has an allergy or simply cannot handle sugar (most kids cannot), then trading their candy for a prize can be more exciting than eating mounds of Snickers. Parents I work with use a counting system 50 pieces = movie night 100= new video game, get creative here and have your kids come up with rewards too. They will be more invested if they are part of the process. Another idea, trade it for healthier treats that they like: fruit leather, chips, or salty snacks. Gluten Free and Healthy Candy: Yes its true, there are sweet snacks that wont cause your child to feel like they have “ODed” on M&Ms. Allow them to trade in their gluten filled candy for gluten free. Here is a great blog post about having a “Gluten Free Halloween” and a list of Gluten Free Candies is available here. Sort and Store it: One of the most exciting times of the year for kids is coming home, emptying your Halloween pail and sorting throw the goods. Allow your child to do this, parent supervision is often required to check for safety, then let them chose one treat a day, whether its with their after school snack or after dinner. If they can tolerate sugar this is a great way to teach them healthy moderation. Store it somewhere out of eye sight and let them know its available once a day. Protein: Before heading out to trick or treat, or that Halloween party filled with junk food, candied apples, and kids keyed up on a sugar high, consider giving your child a protein filled meal or snack. This will allow their brain to be less hyper-focused on candy, they will be less likely to have sugar cravings, and it keep their blood sugar from spiking. Get creative and make themed snacks, nachos with cheddar cheese and top with olives (hide beans under the chips for added protein), deviled eggs that look like eye balls, or hot dog mummies. Don’t forget to send your kids out with supervision, a flash light, and a fully tummy. Happy Halloween Everyone! What is Gluten and Why Shouldn’t I Eat it? Have you ever wondered what gluten intolerance is and why it has received so much attention recently? Is this just a new fad from the health food industry or something to take notice of? How do you find out if you or your child is gluten intolerant? The answers to these questions might be surprising…. First, let’s be clear on the meaning of gluten intolerance. It does not mean allergy. Gluten intolerance is a physical condition in the gut. It basically means that your body is not able to digest gluten proteins (from wheat and other grains). Instead, the body begins to attack these undigested proteins as if they were a foreign invader, damaging the micro-villi that line the small intestine. The lining becomes inflamed, which reduces the surface area available to absorb nutrients. The severity of gluten intolerance may range from gluten sensitivity all the way up to full-blown celiac disease, a true “allergy” to gluten that is an inherited autoimmune disorder. This is no fad. In fact, many people are gluten sensitive or intolerant and have absolutely no idea. In 2000, gluten intolerance was estimated in 1 out of 2500. Today that statistic is an astounding 1 in 133! The misuse of words by the media has caused lots of confusion on this topic. However, the differences are profound. Put simply, if you test “sensitive” to gluten, take it out of the diet for at least 6 months. The gut heals and gluten can gradually be re-introduced. However, some folks may not be so lucky. Removing the gluten and healing the gut can take care of the symptoms, but removing gluten from the diet must be permanent if there is a true intolerance. Why Are More People Gluten Intolerant Today? Dysbiosis: Some people may not be able to digest gluten because they have gut dysbiosis, an imbalance of good and bad bacteria in the gut. Dysbiosis can occur from taking antibiotics (especially if used more than once every few years), or from eating foods you can’t digest. For example: feeding grains to infants before they can digest them can cause dysbiosis. The overgrowth of “bad bacteria” along with the undigested fragments of gluten can trick their immune system into thinking the undigested food particles are from the bad bacteria. Genetics: Some people may have the gene responsible for improper digestion of gluten, although it has not yet been identified. Food Quality: We all know that food today is much more processed and genetically modified in many cases. We also know that breads today are not made the same as they used to be. In fact, the gluten proteins found in grains today are structurally different from the grains our ancestors used. Scientists have recently discovered a peptide in gluten (which triggers the intolerance) that did not exist in ancestral grains. Many of the children and adults we have worked with are on specific diet. Whether they are allergic to dairy or wheat, sugar free or casein free, we know tasty snacks are sometimes hard to come by. We are seeing more kids on gluten free diets, and parents who have a difficult time finding convenient and tasty snacks for them. Here are some of our favorites that have been kid (and adult) taste tested with scores of “Yum” across the board. 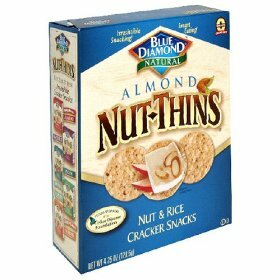 Nut Thins. With seven different flavors there is one to please even the pickiest palate. Add hummus, peanut butter , or cheese for a complete protein snack. Or just eat them straight out of the box, with 3 grams of protein per serving. My personal favorite is Country Ranch, but the kids go crazy for Cheddar Cheese. LesserEvil Krinkle Sticks. Many potato chip brands have seasonings that contain gluten (take a look at your ingredients). This brand is completely gluten free. This was the perfect alternative to a potato chip with only 2.5 grams of fat, no trans or saturated fat. They are available in four fantastic flavors: Classic Sea Salt, Sour Cream & Onion, Old School Bar-B-Que, and Cajun Kaboom! Amy’s Kitchen Frozen Meals. If you have ever looked for a healthy alternative to microwave meals then you have seen Amy’s amazing products in your grocers freezer. They are kid and adult friendly with a variety of products. 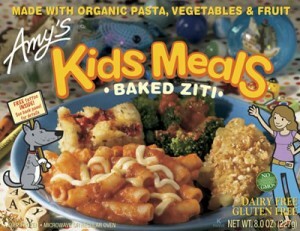 Kids I’ve talked to love the gluten-free baked ziti. Lara Bars. Great on-the-go snack. These bars are 100 percent gluten free and have over 20 flavors. I love the Apple Pie, and kids go crazy for the Peanut Butter Cookie flavor. Chex: The classic cereal you grew up with has gone Gluten-free! They have a wide variety of flavors and recipes on their site. Applegate Farms Natural Gluten-Free Chicken Nuggets. Most breading on chicken nuggets contains gluten, MSG, and other flavor additives. Not Applegate’s, these are by far the best chicken nuggets I have ever tasted. Kids (and adults) prefer these over McDonlads! They are delicious and protein packed. Cherrybrook Kitchen All Natural Cookies. This brand is amazing! The cookies are peanut free, dairy free, nut free, egg free, and vegan; best of all they taste great. They have baking mixes for any occasion along with frosting and breakfast mixes. Ians French Bread Pizza. The gluten and casein free French bread pizza is “awesome” a very picky 11 year old told me. Put them in the toaster oven for added crunch, and for you adults out there with gluten and dairy sensitivities, add some chili flakes, it’s a healthy alternative to your favorite slice of pizza. Add your favorites below. We look forward to hearing from you.